Tubeworks Inc. was founded in 2003 by Jayson Miles of Riverside, CA. Through humble beginnings in a small shop, Jayson set out to produce the ultimate in custom off-road differential housings. Working together with top short course teams and desert racers alike, Tubeworks quickly developed a name for producing the highest quality custom fabricated housings on the market. Fast forward to the present and today Tubeworks has become an industry leader in most off-road applications. By taking time to dissect and understand all critical aspects of drivetrain components and function, Tubeworks has pushed groundbreaking innovations into new product lines. 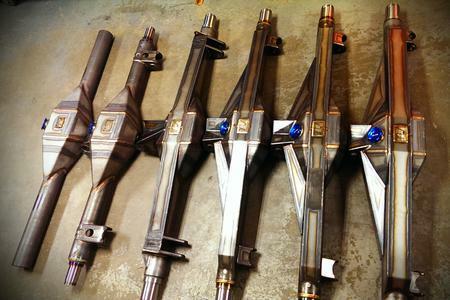 With its progressive product lines and personalized service, Tubeworks has continued to grow, dominating truck counts in the highest levels of short course and desert racing competition. Podiums and wins seem to be included with each purchase. Throughout the years, customers have achieved Championships in LOORRS, TORC, SCORE and BITD racing series. Today, top racers in LOORRS are using Tubeworks under-drives and new light-weight sheet metal housings. KOH rock racers are running Tubeworks under-drives, planetary differentials, and 4wd differentials. Tubeworks has the Strongest Pinion support on the market, found on top team’s 9″ and 10″ 3rd members. 4130 and mild steel housings are for every application from pre-runners and play toys to Ultra4 and Trophy Trucks. Not afraid to design new products, or improve on current ones, Tubeworks is known for cutting-edge designs and high-quality components. 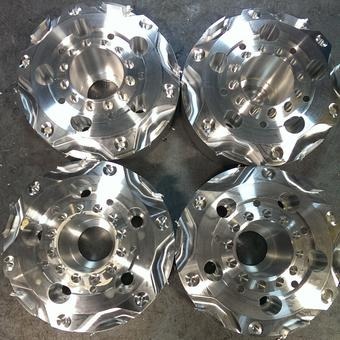 In-house CNC machines allow each product to be made with tight tolerances and precision. CAD designed products are tweaked and refined in real time to look as good as they function. Top builders and race teams such as Geiser Brothers, Greaves Family Racing, the Leduc Family, Robby Gordon Motorsports, Campbell Racing, Baldwin Racing, Team Renezeder, E.S. Motorsports, Armada Engineering and Team MacCachren are all satisfied and supportive customers.